Ford Focus (DPF) 1.6TDCi 16v Turbocharger Failed – Rebuilds & Stock Available! The Ford Focus (DPF) 1.6TDCi 16v model with the Diesel Particulate Filter is prone to problems such as injectors failing, turbocharger failing and engine oil contamination. This is mainly due to the Diesel Particulate Filter (DPF) getting blocked up. When the DPF blocks up, it causes back-pressure to push carbon back up in to the turbocharger, engine and other components such as the diesel injectors. They then become carbonated and the oil becomes contaminated. Rather than spending a fortune to replace the turbocharger with a new unit, or even a second-hand unit which would come with a maximum of 90 days warranty. You can send the turbocharger to us and here at Sinspeed we’ll strip your unit down and rebuild it with all new oil seals & bearings. The housing will be machined and leak tested to ensure a rebuild of the highest quality and returned to you with a full 1 year warranty. In fact, you won’t even recognise the turbocharger as we chemically clean all units before rebuilding so they look as good as new! We can normally turn a turbo rebuild around in 24-48 hours. Yes, we do. We aim to offer the most competitive rate fitting services and if you find a better deal elsewhere, we always aim to beat it. We also offer a free collect & return service on your vehicle (dependant of your location) so if you’re having turbo problems then get in touch and find out what we can do for you. Do You Repair Other Turbo’s As Well? We repair all types of turbocharger units for all makes & models. If your unit is non-repairable, we have many rebuilt units in stock ready to exchange & dispatch same day. We also carry new units on some of the more commonly known non-repairable turbos or where new units are the more affordable option. What Guarantee Will Sinspeed Give Me? We offer all our customers a full 1 years warranty. For an instant quote, call us today on 0871 2887 666. Tags : 1479055, 3M5Q-6K682-AE, 3M5Q6K682A, 740821-0001, 740821-0002, 750030-0002, 753420-0002, 753420-0004, 753420-5004S, 753420-5005S, 9650764480, 9656125880, 9657248680, 9660641380, 9663199280, Ford CMAX 1.6TDCi, ford focus dpf turbo repairs, ford focus garrett turbo rebuilds, ford focus garrett turbo repairs, ford focus turbo lagging power, ford focus turbo leaking oil, ford focus turbo no power, ford focus turbo oil leak, ford focus turbo oil leak repairs, ford focus turbo play in shaft, ford focus turbo rebuilds, ford focus turbo repairs, ford focus turbo seals, ford focus turbo seals kit, ford focus turbos, Ford Turbo PART NO: 753420, GT1544V, OE NUMBER: 0375J6, Y60113700G. ← BMW Mini Electric Power Steering (PAS) Pumps – Exchange Units In Stock & Rebuild Services! Oil in the inlet pipes can be for 2 reasons. Either the breather system oil separator valve (built into the front right side of the engine rocker cover) is leaking oil into the inlet pipe or the turbocharger seals are leaking oil into the inlet pipe. Check your oil level and if the level is low then top it up using the correct low-ash oil. You can also remove the intake pipe from the right side of the turbocharger and check the turbine for excessive play / movement in the shaft. If the oil level is high then you have oil which is diluted with diesel so it will require an oil change. The DPF is the number 1 cause of a failing turbocharger on this vehicle so I would always recommend to check that. I have just sent over an email with pricing and further information regarding the rebuild of the Turbocharger on your Ford Focus. 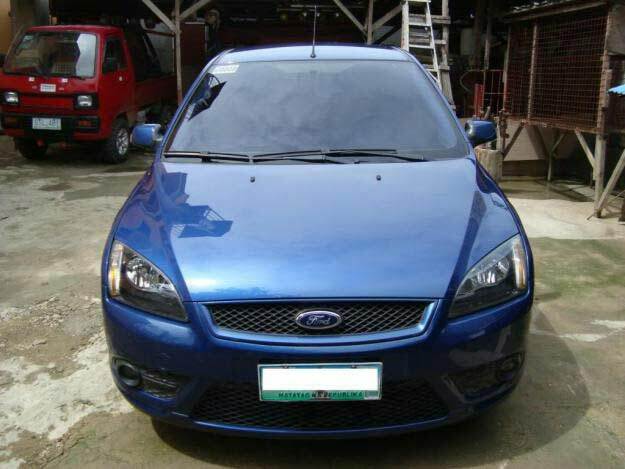 Could you please give me a price gor a recon turbo for ma09ymk focus 1.6 tdci? Do you also supply Oil feeder pipes? We can supply a replacement oil feed pipe when rebuilding your turbocharger. I have sent you an email with full information and pricing.